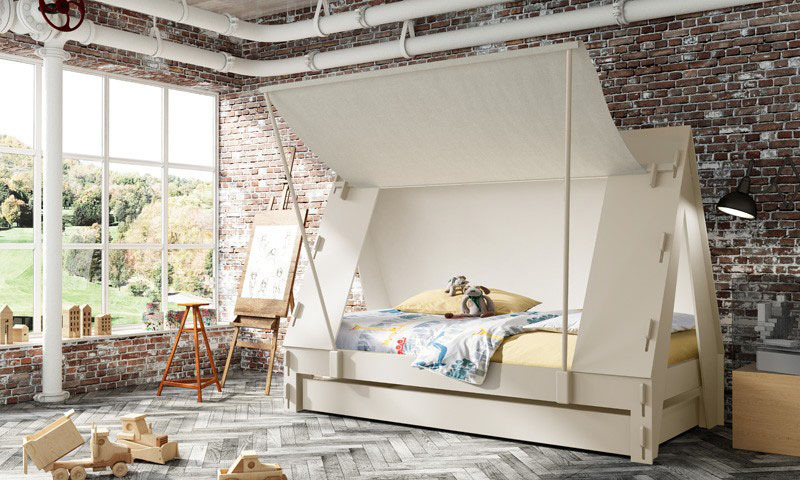 This practical and stylish boy’s bedroom by Czech interior designer Barbora Léblová has a space saving loft bed and lots of storage space. 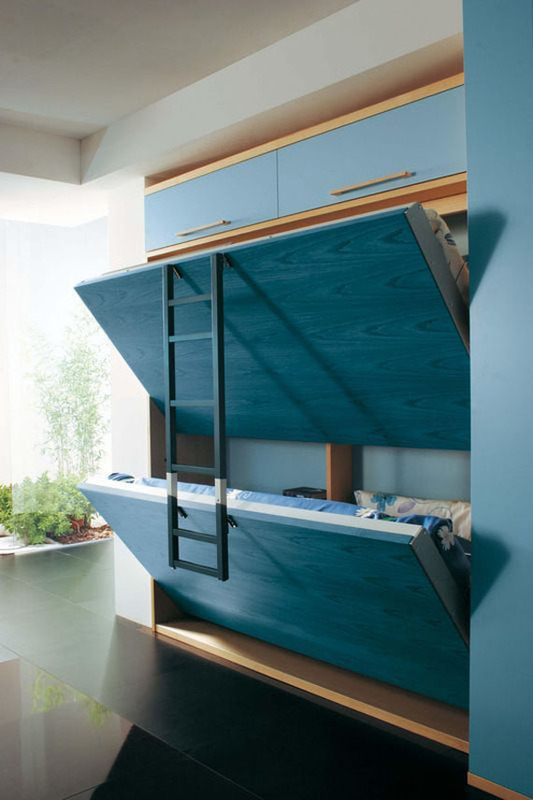 This brilliant bedroom design by Susanna Cots maximizes storage space and functionality. 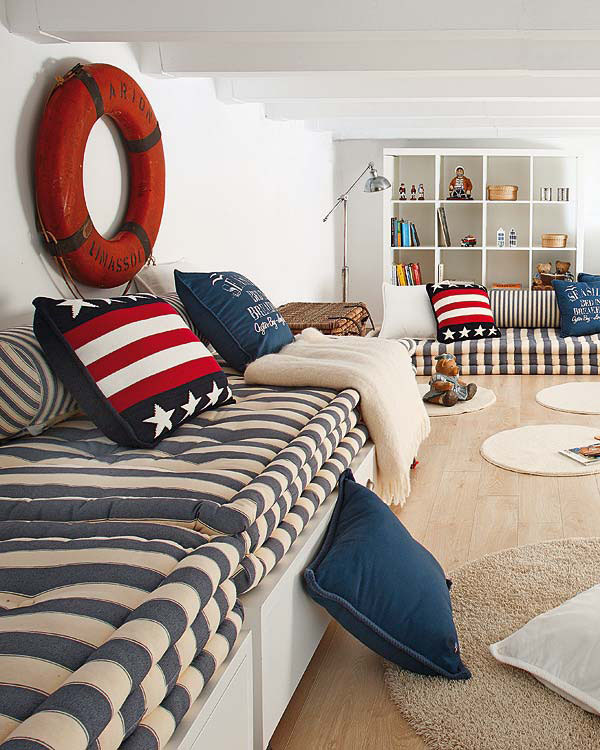 This room in the attic of a family home has been turned into a boy’s room with nautical inspired theme. 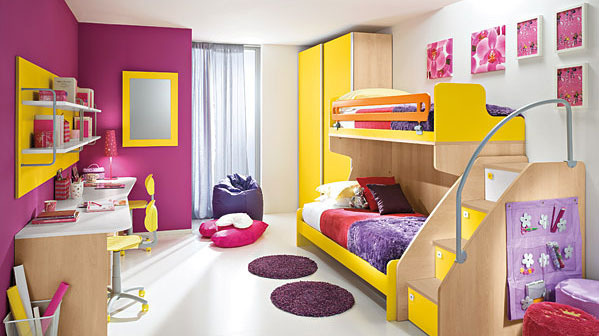 The oak finish flooring and platform create two zones within the room. 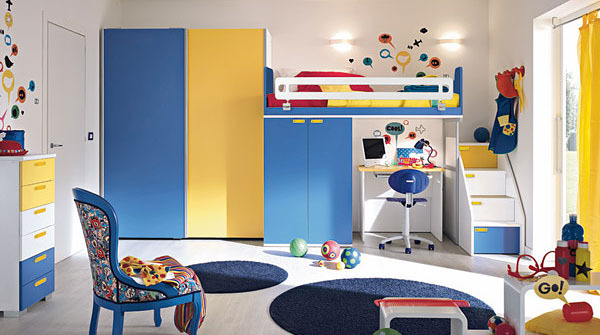 The platform area is functional yet playful.